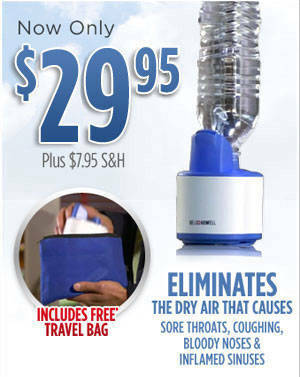 How namy Bell + Howell Sonic Breathe units would you like? 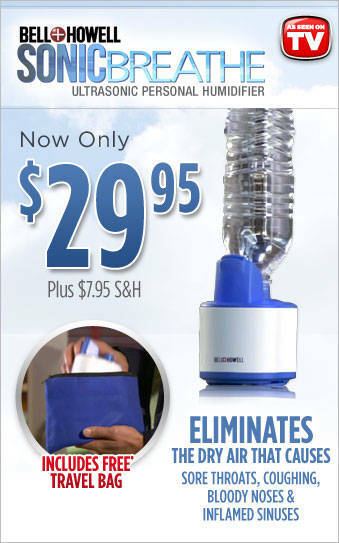 Today, you'll get the Bell + Howell Sonic Breathe for only $29.95 plus $7.95 S&H! Please allow 3-6 weeks to receive your order. This product is covered by a 30 day money back guarantee, less S&H. Sales tax will be applied to orders from CA, NV, NJ & NY.